Three years ago, the paid knowledge sharing sector was like a gold mine. Zhihu released Zhihu Live; Guokr started “Fenda”; Luogic Talkshow public account promoted a hit column “Lixiang Reference of Business Inside”; Ximalaya FM launched the first content consumption celebration named “123 Knowledge Carnival” in China; three months later, JD.com initiated a paid Q&A section “Jingda” with books as a platform; Douban Time introduced a paid column. By June 2017, Toutiao invested heavily in incubating “Wukong Q&A” and gathering paid knowledge sharing influencers. Like every lucrative opportunity, the paid knowledge sharing sector has gone through the initial expansion period. Now the market has become chaotic where bad money has driven out good. But it is undeniable that the potential of the paid knowledge sharing market is still huge. Based on statistics, the market size of the domestic paid knowledge sharing industry is about RMB 4.91 billion yuan in 2017. It is estimated that it will reach RMB 23.5 billion yuan by 2020. The number of paid users in 2018 was expected to reach 292 million. Consumers still exist, but they are beginning to calm down and pay for higher quality knowledge. Junxiu Zhu, Founder and CEO of Qianliao, confidently stated that the paid knowledge sharing industry is in its infancy, and will gradually rise to the turning point and enter the mature or development cycle. Junxiu Zhu, a former product manager, has already received an additional A+ round investment from Tencent. According to Junxiu Zhu, after three years of development, Qianliao’s current annual transaction volume exceeded RMB 800 million yuan, and the number of registered lecturers on the platform reached 1.2 million.  In this issue of “iAsk Top Leaders”, iAsk Founder Gloria Ai asked Junxiu Zhu ten questions about the paid knowledge sharing platform. Gloria Ai: The year 2016 is regarded as the first prime year of the emergence of paid knowledge. There were iGet, Ximalaya, Fenda, etc. Qianliao was a latecomer. What prompted you to start Qianliao? Junxiu Zhu: Our company was established in March 2016, but we didn’t know about iGet at the time. Later on when Fenda was launched, we realized that there were plenty of people working on this. As for the core value of Qianliao, I had years of experience in community products. I realized that the content of the community was particularly fragmented. There were a lot of outstanding content bloggers, not even creators. I thought to myself if it is possible for them to publish something more in-depth and be paid for the content. It was purely a thought based on my business acumen as a product manager, because it was typical in 2016 that the fragmented spare time of consumers reached a peak. Gloria Ai: Paid knowledge has been a hit, but is it an artificial demand? Junxiu Zhu: I definitely don’t think it is an artificial demand. For example, we have recently launched an eye-care class for mothers to help children prevent myopia. There are now 700 million people nearsighted in China. Gloria Ai: Some people claim that paid knowledge is in essence spreading anxiety. Do you agree? Junxiu Zhu: If we’re really trying to spread anxiety, we won’t be able to create this many products. As for its essence, it provides information that can solve problems, because knowledge needs to be absorbed to take effect. Problem-solving is a behavior where knowledge can be absorbed and produce results. Consumers are able to directly obtain value from knowledge and can feel the difference between learning and not learning. Gloria Ai: I personally also have a course on Qianliao, called 14 Lessons on the Wisdom of Fortune. In fact, it is a surprising piece and product for me. Traditionally, we tended to think from an elite perspective when we produced content, but Qianliao inspired me to ponder on the need of ordinary users, what’s relevant to them and what can help them. This has also spawned a group of mass elites and ordinary internet celebrities. Who are they? Junxiu Zhu: We always uphold the belief of “Two heads are always better than one”. Qianliao is a particularly simple sharing tool that brings together professional practitioners from all walks of life. For example, we recently initiated a course about endocrine, since our research shows that a lot of physical problems women suffer from are strongly correlated with endocrine. Then we reached out to an expert from Beijing Obstetrics and Gynecology Hospital who has nearly 20 years of research experience on endocrine. Back in the days without knowledge sharing services, it would be impressive for him to serve 10,000 people for his whole life through surgeries or consultation services. Yet, through knowledge sharing platform, he might be able to serve 100,000 or even 1 million people and more. Gloria Ai: Some people have summarized this pattern as “Knowledge + Internet + IP Promotion”. Can you share with us the methodology behind it? How to create a hit product? Junxiu Zhu: Two features. Firstly, it is indeed consumer driven. The reason why it didn’t happen early was because of the technological capability of the mobile internet. Between knowledge sharers and consumers, supply and demand can be matched. But it could not be done before. Mobile internet at least enables everyone to go online. Secondly, payment builds up a bridge. This is a mutual trust relationship. Some tutors might not actually earn much money from it, but if you pay for it, that means you have the need, which is real. I think the most ideal scenario is when consumers have cultivated a good habit to pay for knowledge, they will automatically lock in whose course or what kind of content they would like to listen to. This is what we call credit. It’s kind of like e-Commerce, such as Tmall on Taobao, where consumers can make faster decisions based on the 5-star ratings. Gloria Ai: There’s Ximalaya, iGet, Kaishu, Fenda, etc. in this sector. What enables Qianliao to survive and surpass them? Junxiu Zhu: First of all, as an entrepreneur, I can’t stay put due to fear of failure. Each company has its own lifetime, so do products. This is their life cycle. I don’t pay too much attention to competition. What we care about is its core, Qianliao’s users, who are always our priority. secondly, regarding the competition with peers, just like the Taiji rule where there’s yin and yang, each company has its own advantage and disadvantage. For Qianliao to survive, we need to find the weak spot in this market. In terms of how to realize it, iGet has its own pattern, so do Qianliao and other platforms. We’re just reaching goals via difference means. In a word, we need to firstly realize our differences and secondly learn from the opponent their advantages and then materialize the goal with a different pattern. Gloria Ai: What advice do you have for those who are interested in starting a business in this field? Junxiu Zhu: The starting point must be the user’s needs, followed by content, tutors and forms of presentation. I think the core is the user’s needs and its content structure. This is the only cause that I feel I can dedicate myself to for a long term, because everything else is temporary. I have worked at Alibaba and Tencent before. I felt first-hand that the internet industry is very transparent. If you can’t deliver a certain goal on such a transparent mechanism, you’re doomed to fail. Thus, this is not about morality; it’s a basic way to survive. For an entrepreneur, this may be the only thing you can control, i.e. to create value for consumers. If you lost the value, you would lose everything. Gloria Ai: Qianliao adopts very proactive marketing strategies, such as encouraging users to carpool, bargain and distribute. Is it at the risk of being blocked due to distributing content on the internet? Junxiu Zhu: There is no such risk at Qianliao. The core still lies in your content and product. If the content is ok, there’s no risk distributing content; if not, it must be problematic. For all the content that can be distributed on Qianliao, we have run quality control on it. Moreover, it appears to be distributing, but in essence it represents the sharing of consumers’ liking of the content, which is benign rather than a conflicting interest. Gloria Ai: What do you think of the combination of capital and entrepreneurship? Do you need capital? What kind of capital do you need? How can capital help you or obstruct you? Junxiu Zhu: I’m starting to feel strongly that knowledge service is a bit like education. It has long-term cycles. Cultivating it to produce results takes a long time. If you spend three years on it, it will be well established quickly. Gloria Ai: How many three years do you plan to spend on it? Junxiu Zhu: I intend to spend ten years on it. I hope that I can influence the people around me so that they can keep the user value as the priority. This is something that needs to be invested. You need to persist in it constantly. Therefore, if you yearn to obtain high investment return and much respect, I think it requires a fundamental rational analysis. Gloria Ai: But in fact, there has always been a controversial issue in business. Is business about meeting consumers’demands or creating new things to lead their needs? For Apple, apparently they created new products and demands, and now they’ve become a giant. If you only meet the temporary demands from users, you might only become a boutique firm with small cash flows. What’s your ambition in your mind? Junxiu Zhu: Qianliao is definitely trying to lead the trend in the future. The form of products of Qianliao is actually innovative. We’re the first company to share paid knowledge in the form of tools. Qianliao was not good at content production at first, which is why no one held the vision on it. Instead, we broke through with something we’re good at. Eventually, what we do will absolutely be trendy in the future.